Sibling is a global design collective led by Amelia Borg, Nicholas Braun, Jonathan Brener, Jessica Brent, Jane Caught, Qianyi Lim, Timothy Moore and Alan Ting. With expertise in architecture, landscape architecture, graphic design, cultural studies and commerce, they work where urbanism, cultural analysis and graphic communication cross paths to produce new and unexpected spatial outcomes. Whether that be a publication’s new headquarters, a multi-sensory concept store’s interior, an exhibition of disconnection or a giant game of snow-puff checkers, Sibling focuses on intelligent forms that foster a positive, socially engaged agenda. 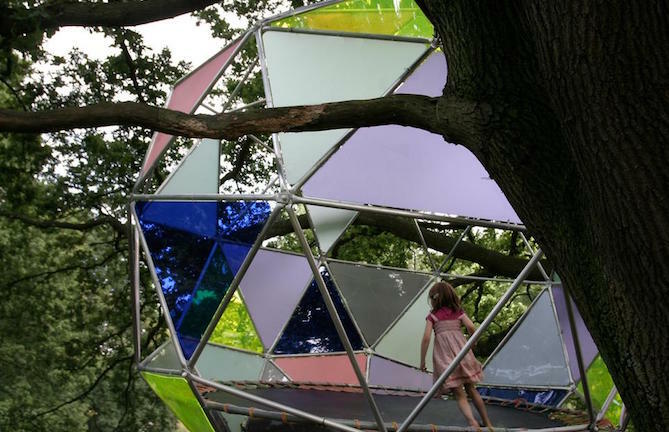 'Dream Space Station' children's pavilion by Sibling and Melanie Bonajo.